Success doesn’t happen overnight. Most of the time, it takes several failures in order to achieve your end goal. 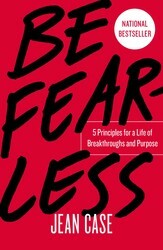 Jean Case, author of BE FEARLESS, shares how you can move forward and learn from failure. See your mistakes as lessons learned. Likewise, rejection is painful, but in hindsight it can be a badge of honor. Th is is a lesson we can take from innovators and leaders who recognize, as Einstein did, that their failures bring them that much closer to future success. J. K. Rowling kept trying despite rejection. Astro Teller built failure into the success mix. And Warren Buffett reminds us to keep at it for the long term. Whenever you experience a setback, let the wisdom from these great achievers help you get back up again. Jeff Bezos wrote to Amazon shareholders in 2014, “Failure comes part and parcel with invention. It’s not optional. We understand that and believe in failing early and iterating until we get it right.” He was reiterating what Thomas Edison said so long ago. Take a moment now to consider your own life. Perhaps you have a story of failure—a time when it seemed you would never recover from a deep disappointment. Can you now appreciate the gift of that experience? What did you learn from that dark time? What future opportunity did it unveil? I believe that perfection—that is, never failing—is a myth. There’s tremendous pressure in our culture to be perfect, and this impacts young people most of all. To get into the best schools these days, you need not only perfect grades but also a perfect résumé of nonacademic achievements. Then, to get a good job, you need a perfect grade point average, plus internships and more extracurricular activities. 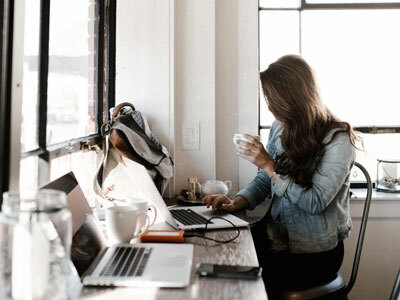 No wonder the American Psychological Association has reported that the stress of trying to be perfect is contributing to a rise in depression among teenagers. 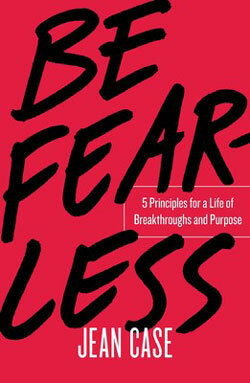 Discover how to move on from failure and succeed in BE FEARLESS by Jean Case! Learn more on how to destress….